What are long-distance hiking trails? When we talk about a long-distance hiking trail, it is a trail that you cannot complete within a day. It takes much longer to cover a distance between 100 and 200 kilometres. Usually, such trails start at one point and finish somewhere else, split into daily stages. Occasionally, a long-distance hiking trail is a loop, which starts and ends at the same spot. 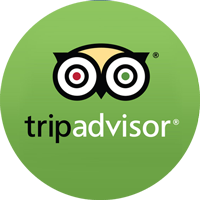 Along the way, you can usually find accommodation in hostels, B&B, Farm Houses or similar. Walking Holiday Ireland plan the stages of the trail so that accommodation is at the end of each. 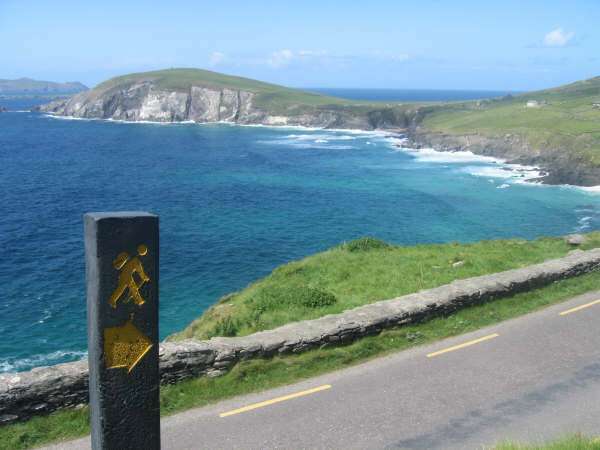 Ireland offers a vast variety of hiking trails. Long and short. Easy and advanced. Steep and flat. There is something for everyone. 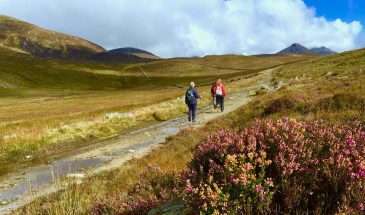 Either you head out with a group, for a guided walking trip in Ireland, or you can head out on your own on an individual walking holiday. Self-guided walking tours are a great experience since you can choose your pace individually every day and need to plan as well. It will let you grow physically and mentally. Going on such an adventure with close friends is among the best thinks for a nature-loving the outdoor person. 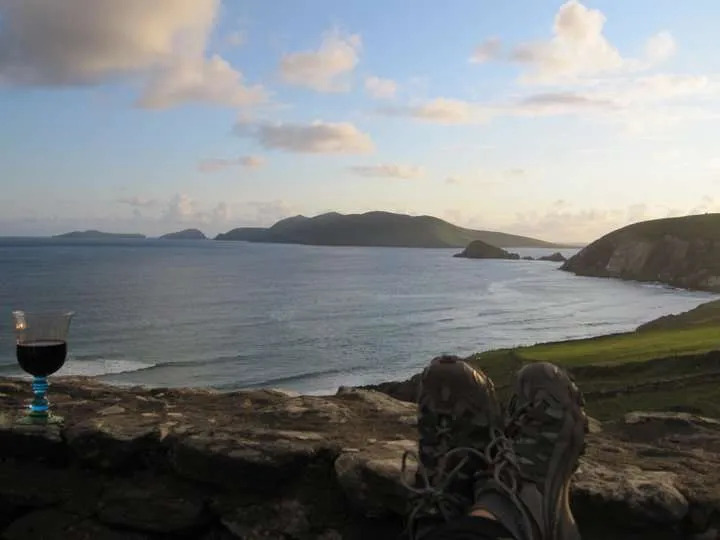 With a distance of 214 kilometres and a total ascent of more than 4000 metres, the Kerry Way is, without a doubt, a long-distance hiking trail. Usually, people split the whole trail into nine stages, which makes an average of about 24 kilometres a day. That might sound tough but imagine walking all day, taking time to rest and have a rest every other hour to enjoy the scenery will make it an enjoyable experience. The Kerry Way winds along and through the peninsula of Iveragh, through vast fields and dense forest. Starting and ending in Killarney, it leads mostly along old roads, which can be covered in grass and hence hard to see. Walking Holiday Ireland provide detailed route notes and hiking maps, and you can download GPX files of the route to use with an App such as Viewranger. Between fields and forest, you find many farmhouses along the trail that offer accommodation for the night, especially for hikers doing the Kerry Way. Farmers serve great, traditionally homemade meals from local products to their guests. They even offer to transfer your luggage to your next destination. In towns along the way, you will always find a beautiful bed and breakfast to spend the night. The trails of Kerry Way are pretty easy to hike. Only during and after heavy rain it can be muddy and rough. Mind your step; it can be slippery then. When the sun is out, there is nothing to worry about but enjoying the scenery and fresh air all day long. 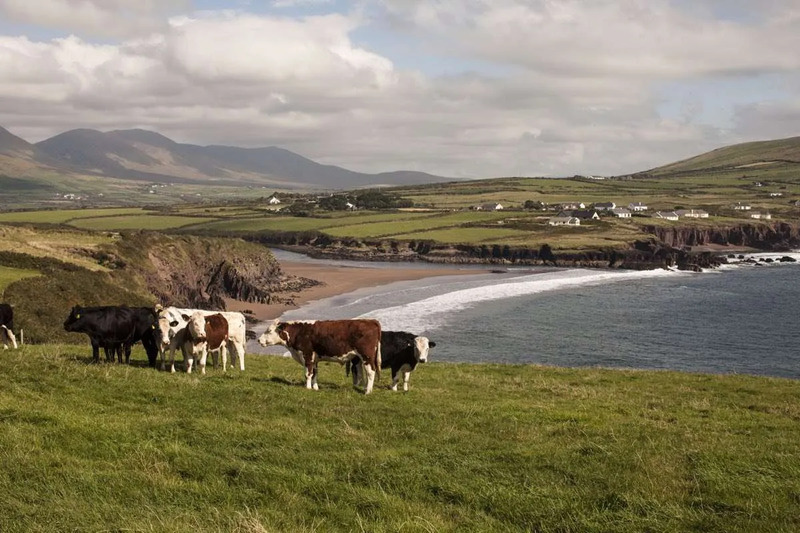 The Dingle Way is a circular trail of 179 kilometres starting and ending in Tralee, the capital of Kerry. In total it covers 2300 metres of ascent through grassy fields, along with big mountain faces and beaches of the Atlantic Ocean. You will mostly look up to big mountain faces rather than climbing them and looking down. An exception to that is the traverse of Masatiompan, where the trail climbs up to 660 metres above sea level. Small roads, locally known as boreens make up most of the trail. That allows a rather fast walking pace. An adult can complete the trail on an average of 8-9 days. A significant part of the way leads along beaches, which invite the tired hiker to take off his heavy backpack and dirty shoes to go for a refreshing swim in the ocean. 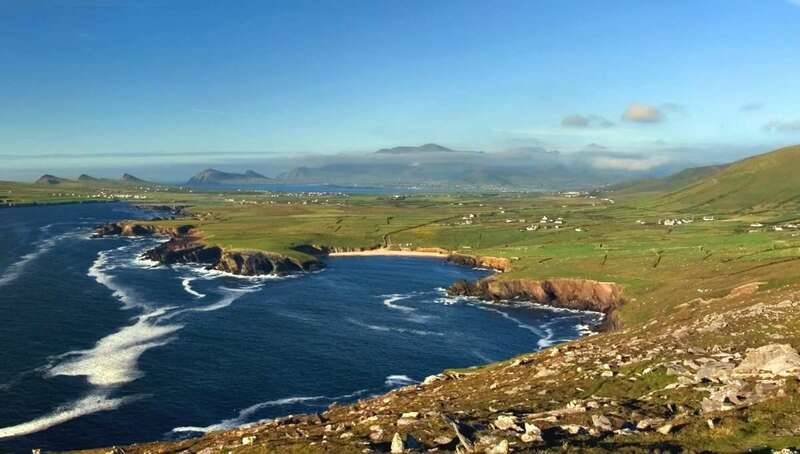 Additionally, Dingle Way comes across many interesting archaeological sites, such as standing stones, ogham stones and a multitude of beehive huts. Accommodation is in villages along the Dingle way or not too far off the trail. There are possibilities for any budget, ranging from cheap hostels to expensive hotels. Walking Holiday Ireland provide transfer service from the trail to the accommodation where needed. It is never too late to start on your first multi-day hiking adventure. Take some friends and prepare your backpack for a holiday outside. Both, Kerry Way and Dingle Way are perfect to get started. With magnificent scenery and natural trails, they are perfect to get into long-distance trekking. Don’t wait any longer, nature is calling for you! There is no place like the heart of mother nature. the beach walk near Ventry all the way through to a fabulous hike near Slea Head. 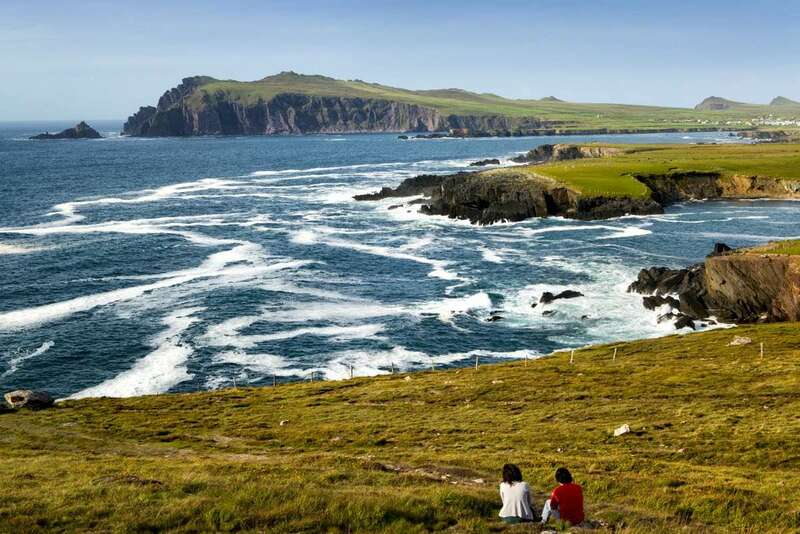 If you had to choose which would you pick; The Kerry Way or the Dingle Way? Well, that’s a very personal and subjective opinion of course! 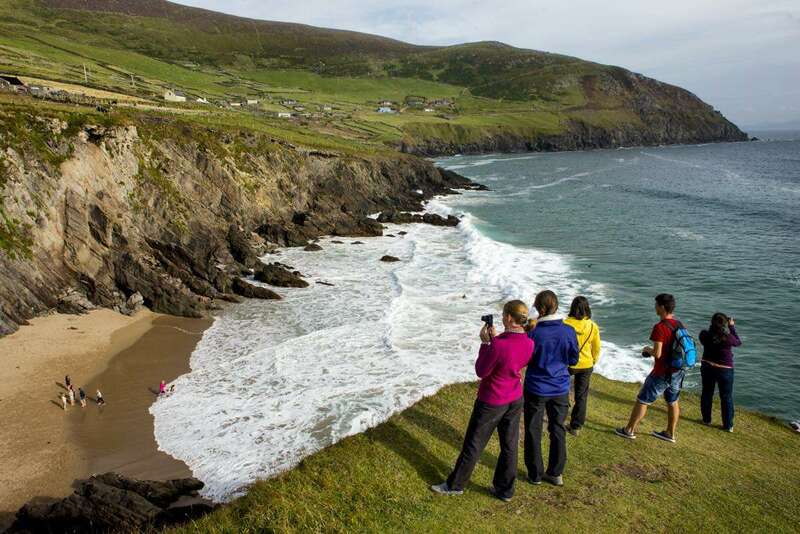 The Dingle Way has a close proximity to the ocean and is certainly the more popular, or busier of the two. The Kerry Way is possibly more challenging because of the terrain and offers the opportunity to visit Skellig Michael as well. Skellig Michael is certainly worth a side trip if you can make it. Either way, maybe you should just do both and tell us yourself which you preferred!